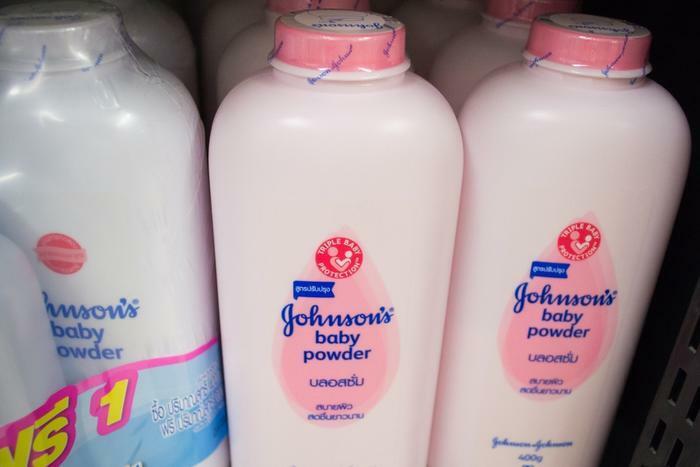 Fresh off its corporate rebranding campaign to make baby powder more appealing to millennials, Johnson & Johnson is once again facing scrutiny over whether the product is contaminated with asbestos. Johnson & Johnson shares dipped late last week following the news that a California jury had ordered the company to pay $29 million in the latest lawsuit alleging a link between its talcum powder products and cancer. Terry Leavitt said that she had used Johnson’s Baby Powder and Shower to Shower gel, both of which contain talc, in the sixties and seventies. She was diagnosed with mesothelioma in 2017. Her lawsuit charging that the products contained talc contaminated with asbestos began in January and concluded last week with a $29.4 million verdict against the company. "We are disappointed with [Wednesday's] verdict and will pursue an appeal because Johnson's Baby Powder does not contain asbestos or cause cancer,” the company told reporters in a statement responding to the news. Last year, Reuters published documents revealing that Johnson & Johnson was aware that its talc products occasionally tested positive for traces of asbestos in the sixties and seventies. An attorney who handles asbestos litigation told ConsumerAffairs that she avoids all talc-based products over concerns that talc and asbestos are often found together in nature. Also last year, Johnson & Johnson announced that it was relaunching its baby care line to increase the brand’s appeal among health-conscious millennials. As part of the move, the company released a line of talc-free baby powder, but the company has remained insistent that its baby powder never contained asbestos. "We are absolutely certain that science shows that our talcum product is safe, and we will defend our brand and defend our product," a company executive told CNBC.